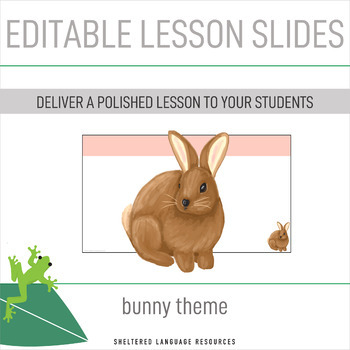 These simple daily lesson planning slides can help you plan more efficiently while allowing you to create a polished looking slideshow for your students to enjoy. The file is a powerpoint document but each slide is a .png image file. They are editable because all you need to do is add a text box wherever you would like and then you can type in your own information. Don't have PPT as an available application? No problem! Simply download the file as a PPT and then open it up in Google Drive as a Google Slide. The file will automatically convert and you can start planning. -Seven slides for each weekday, Monday through Friday. *Each day of the week uses a different color for the header. 1.Download the Power Point slides and use them in that format if you like. 2.If you would like to use these slides as Google Slides, first download the Power Point file into your Google Drive, and then when you click to open the file, choose ‘open as Google Slides’. 3.To edit the slides, simply add a text box to any blank area of any slide and type in your text using your own fonts. 4.Delete any slides that you do not find useful. 5.Copy any slides that you would like to use more than once. 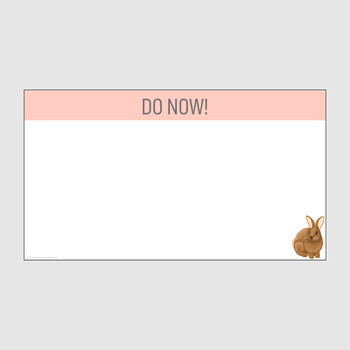 6.A blank slide is included for each day. Make copies of this slide and create your own titles, text, and information. 7.A bonus slide is provided at the end. It is a slide that I use on a regular basis. 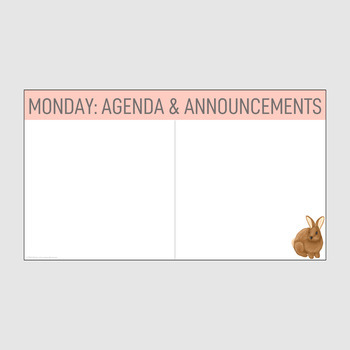 -I like to make the agenda/announcements slide for each day first, and then backwards plan from there. -Instead of recording my plans in a plan book, they are automatically recorded and archived on these slides. I save them to refer to for future planning. -The DO NOW! slide is meant to be projected for students when they enter the room. A warm-up style task is displayed there and students complete it when they arrive. -Post the agenda/announcements slide for your students to see too. It can be a guide for you and for them. For example, I will often put "hand back papers" on the agenda and it forces me to not forget to hand them back. -I like to post instructions for activities on the slides. I want students to follow the written directions before they ask me what they are supposed to be doing. 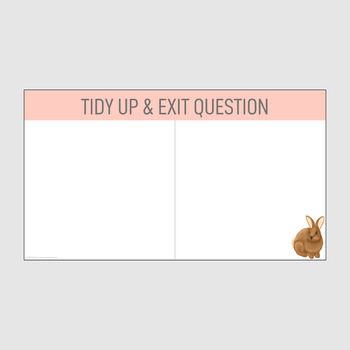 -Create an exit question that you want students to answer at the end of each class period. Looking for more planning tools to help simplify and streamline your planning?